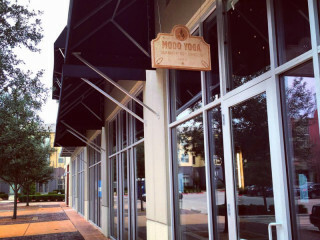 Modo Yoga Austin's grand opening evening offers a complimentary class featuring live music from Dana Falconberry and Garner Sloan, a free massage by C.B.D. Massage and Wellness, a raffle and a toast to the studio. This marks the official introduction of Modo Yoga to the city of Austin, the first studio of its kind in the state. Continuing the celebration beyond Saturday's event, the studio has free yoga classes all week starting Thursday, January 1 and running until Wednesday, January 7 (walk-ins welcome). If interested in attending, please RSVP through the Eventbrite page to reserve your spot.